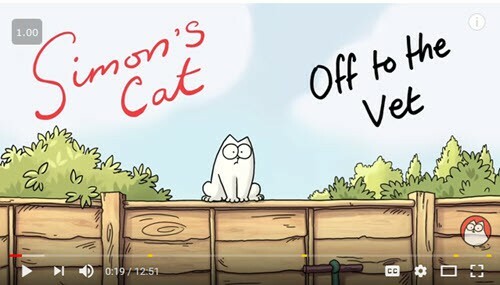 Are You a Fan of Simon's Cat? Are You a Fan of Simon’s Cat? Have you seen this full color version of “Off to the Vet”? Simon’s Cat is popular with millions worldwide. All of us who have tried to get a cat ready for a trip to the vet can relate! We love our cats, but they don’t always make it easy to care for them.